Daphne du Maurier, was born in London, on May 13, 1907, to the aristocratic family of actor/manager, Sir Gerald du Maurier, and actress/mother Muriel Beaumont. 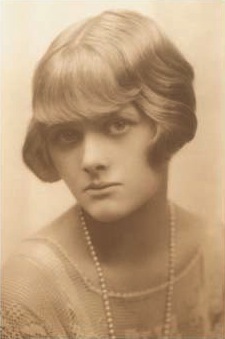 Daphne was also the granddaughter of caricaturist and author Sir Gerald du Maurier. From an early age, Daphne, loved books and became a voracious reader, with a fascination for words and imagery. She was educated at home and later in Paris. In 1928 she began to write short stories and articles. Her first novel, The Loving Spirit, was published in 1931, followed in 1936 by Jamaica Inn, which brought her to the attention of Alfred Hitchcock, who directed the film version of the book. In 1932, Daphne married Major Frederick Browning, with whom she had three children. She continued to turn out best sellers, and another one of her books The Birds and Other Stories was successfully adapted for screen The Birds and once again directed by Alfred Hitchcock. However, one of her most successful books, was Rebecca. 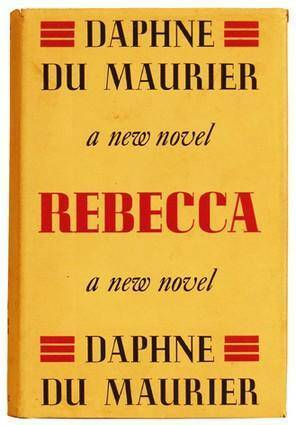 This was the book that was to launch Daphne du Maurier into the higher echelons of the literary world, and she quickly became one of the most successful authors of her time. Rebecca , tells the story of a shy young girl, who with her minder Mrs Van Hopper, is staying in Monte Carlo. Mrs Van Hopper, is overjoyed to learn that wealthy eligible English gentleman, Maxim de Winter is staying at the same hotel. 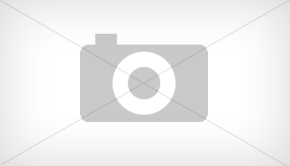 De Winter is in the Monte Carlo, to try to get over the death of his wife Rebecca. Mrs Van Hopper, succeeds in introducing the young girl to Maxim and and the two hit it off. De Winter, proposes marriage, to the innocent girl, and the happy couple return to his mansion, Manderley. However, the imposing estate is run by the housekeeper from hell Mrs Danvers, who makes the new Mrs de Winter, feel rather less than welcome. To find out if the second Mrs. de Winter, who is never named, triumphs, why not read the book, or watch the film. The film Rebecca, which starred Laurence Olivier , and Joan Fontaine, in the leads, won an Oscar for Best Picture. 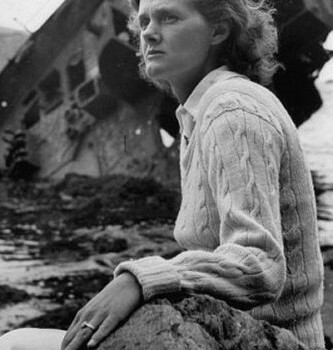 Daphne du Maurier lived most of her life in Cornwall. In 1969, she was awarded a DBE, which gave her the title of Dame. She died in 1989. Margaret Forster wrote in tribute: ‘No other popular writer has so triumphantly defied classification…She satisfied all the questionable criteria of popular fiction, and yet satisfied too the exacting requirements of “real literature”, something very few novelists ever do‘. Check out Yellow Magpie’s Daphne du Maurier Quotes: A Complex Writer And Woman to find out what Daphne thought about friends, life and Rebecca. Daphne du Maurier: A Daughter’s Memoir is a fascinating biography written by Flavia Leng and is an excellent and interesting read. For people living in Ireland or the United Kingdom, you can access Daphne du Maurier: A Daughter’s Memoir here. Here are her famous works: Rebecca, Jamaica Inn, The Birds and Other Stories and The Loving Spirit. For those who live in Canada, you can obtain Daphne du Maurier: A Daughter’s Memoir, Rebecca, Jamaica Inn, The Birds and Other Stories and The Loving Spirit from here. For Germany: Daphne du Maurier: A Daughter’s Memoir, Rebecca, Jamaica Inn, The Birds and Other Stories and The Loving Spirit. For France: Daphne du Maurier: A Daughter’s Memoir, Rebecca, Jamaica Inn, The Birds and Other Stories and The Loving Spirit.